Photo courtesy of Chileno Bay Resort and Residences. Once the winter season is in full swing, the number one question we get asked most is, where can I go for a last-minute vacation? One of the advantages of booking with the Fathom Travel Desk is the access we get to special deals and offers at the world’s best hotels. Here are a few of our favorites, all excellent options for a mid-season getaway — and so many extra nights for free. Like what you see? Send us a note at travel@fathomaway.com to book. A great deal from one of the season’s best new openings: Get the fourth night free and a $300 travel credit per person. Valid for travel now through December 22, 2018. Get a fourth night free. Repeatable for valid dates, which means if you’re lucky enough to stay more nights, the eighth and twelfth nights are also free. Valid for travel now through April 8, 2018. Go for the overwater bungalows, stay for the sprawling Clarins spa. You'll get a fifth night free, daily breakfast for two, and a resort credit worth $250 per stay. Valid for travel now through March 31, 2018. The most exciting resort launch on the California coast in years is giving visitors a third night free. Valid for travel now through April 30, 2018. Waikiki’s grande dame with a contemporary new tower. The fourth night is free, as is daily breakfast for two at Surf Lanai in Honolulu. Valid for travel now through May 28, 2018. Get a third night free at Four Seasons’ outpost for eco-adventure. Valid for travel now through November 15, 2018. 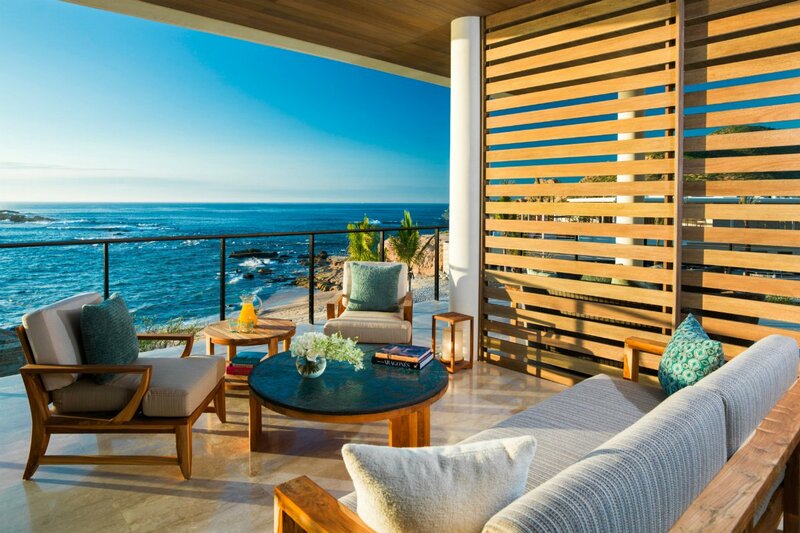 Get three nights in an Ocean View room and airfare for two from Los Angeles to Cabo San Lucas for $2,657, instead of $3,729. To book, you’ll have to join Skylark, a free members-only booking website. Get five nights in a Deluxe Garden room, business class airfare for two from New York City to Barcelona, daily breakfast for two, $100 resort credit, complimentary meal, and free WiFi for $9,394, instead of $12,609. Valid for travel from Monday, March 5 - Sunday, March 11, 2018. To book, you’ll have to join Skylark, a free members-only booking website. Read more on Fathom: See the Barcelona city guide. Ready to go? Email the Fathom Travel Desk at travel@fathomaway.com to book these amazing hotels. Read more about why you should book with us.